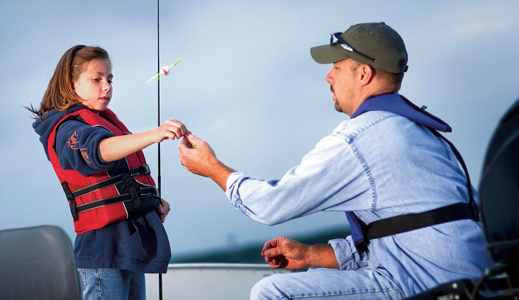 If one of your New Year’s resolutions includes trying your hand at angling… but you don’t want to spend money on tackle until you know you’re going to like the sport… Texas Parks and Wildlife can help. The tackle loaner program is a program where different sites have basic fishing rods, reels and tackle that folks can borrow to go fishing. When you go to a tackle loaner site to check out equipment, you’ll receive a little tackle box with basic hooks and different sizes of bobbers and sinkers. You’ll also be able to check out a very basic spin casting rod and reel. Anglers under 18 years of age must have an adult check out the tackle for them. Each tackle loaner site has a simple form that the person who checks out the equipment signs saying that ‘yes’ they will bring the equipment back. Just leave an ID, and you can check it out for up to a week. Which is perfect for those long camping vacations. The Sport Fish Restoration Program supports our series and funds winter rainbow trout stocking in Texas. So borrow some tackle and reel some in in the New Year. From all of us at Passport to Texas—Prospero Ano y Felicidad…said another way Happy New Year, y’all. Roads provide convenient travel to work, school and home for humans—but not for wildlife. You have habitat loss. And then that physical road can act as a barrier to wildlife. It can impact habitat connectivity. Which, then, in turn can impact genetic transfer of information between populations, and weaken the genetic background for a species. Laura Zebehazy, program leader for Wildlife Habitat Assessment, studies the impacts of roadways on wildlife, known as road ecology. Basically, it is where biologists, engineers, landscape architects… try to evaluate the impacts that road infrastructure has on wildlife habitat connectivity, air pollution, noise pollution, and try to find solutions to alleviate those impacts from that type of development. Endangered ocelots that live in Rio Grande Valley brush country have died on SH 100. TxDOT, in consultation with US Fish and Wildlife Service and Texas Parks and Wildlife, completed four wildlife underpasses along this popular route to South Padre Island. 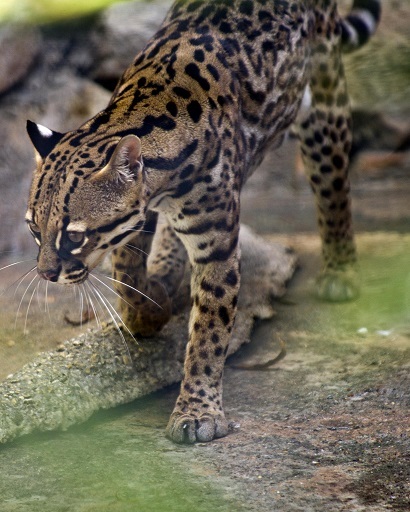 To allow ocelot and any other wildlife in the area to move under the road between the Bahia Grande to the south, and the Port of Brownsville area up north towards Laguna Atascosa National Wildlife Refuge. With wildlife cameras in place, TxDOT will collect data on these solutions and adjust as necessary to save this (and other) rare species. 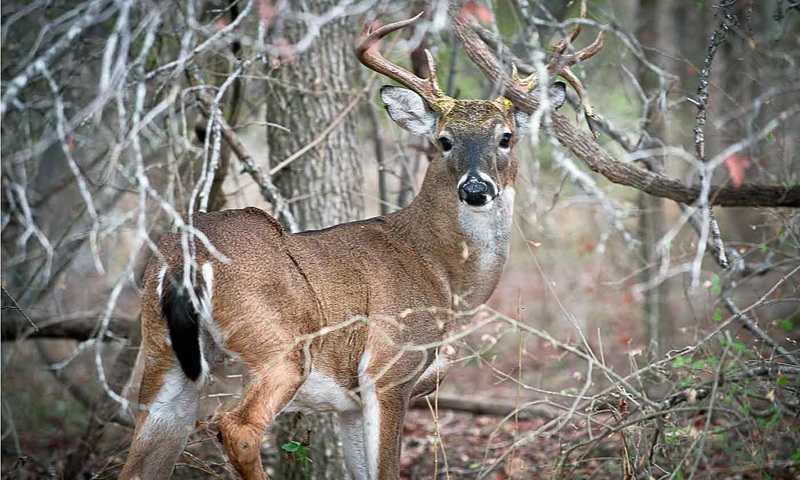 Texas meat processors can help feed fellow Texans by distributing hunter-donated venison to needy families through the Hunters for the Hungry program. Well, this is a wonderful program that helps us both fight hunter and promote environmental stewardship. Removing deer from the landscape each year promotes healthier habitat and deer populations. Celia Cole is Executive Director of Feeding Texas, which facilitates Hunters for the Hungry. She says the key to making the program work is an active network of processors. We ask them to provide the processing at a minimal cost – we suggest around $40 – and then the hunter makes that donation. So, let’s say the hunter drops off a deer, the processor will package it. And then, we provide them with a list of hunger relief agencies in their area. And they can either contact that agency to come pick it up, or they can drop it off. And, of course, they receive a tax deduction for their donation, as well. Hunters who donate deer to the program should check with their tax preparers to see if they can claim a deduction as well. Meanwhile, Hunters for the Hungry encourages meat processors to join the program. Find more information at feedingtexas.org. And processors can go there to sign up. We also recruit directly off of lists that we have from the health department. So, we will reach out and ask processors to participate. Hunters and processors who participate in the program are responsible for providing more than 9 million servings annually of venison to needy families. 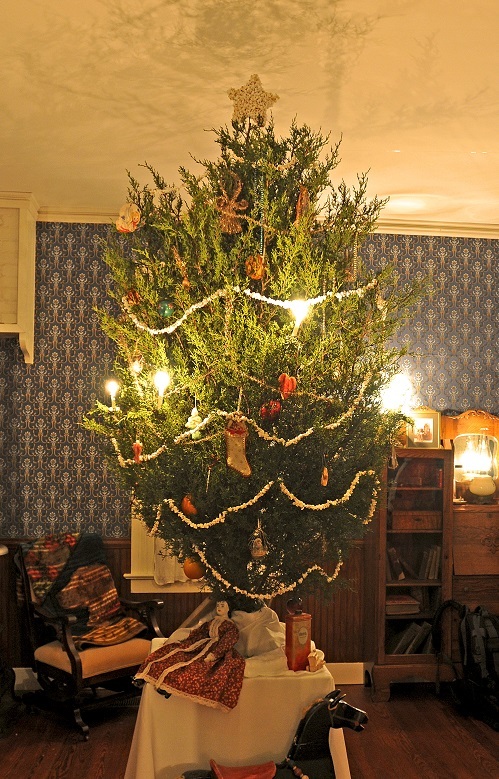 You saw more and more seven or eight feet trees that were placed on the floor. And because we had just ended the Spanish American war in victory, there was a fashion in the early part of the twentieth century to decorate trees with a few American flags here and there. We have photographic evidence for that. If you celebrate Christmas, we wish you a joyous holiday. And if you do not, then it’s the perfect opportunity to spend time in nature, because Life’s Better Outside. Wishing all of you a Merry Christmas and Healthy New Year. You are currently browsing the Passport to Texas weblog archives for December, 2018.